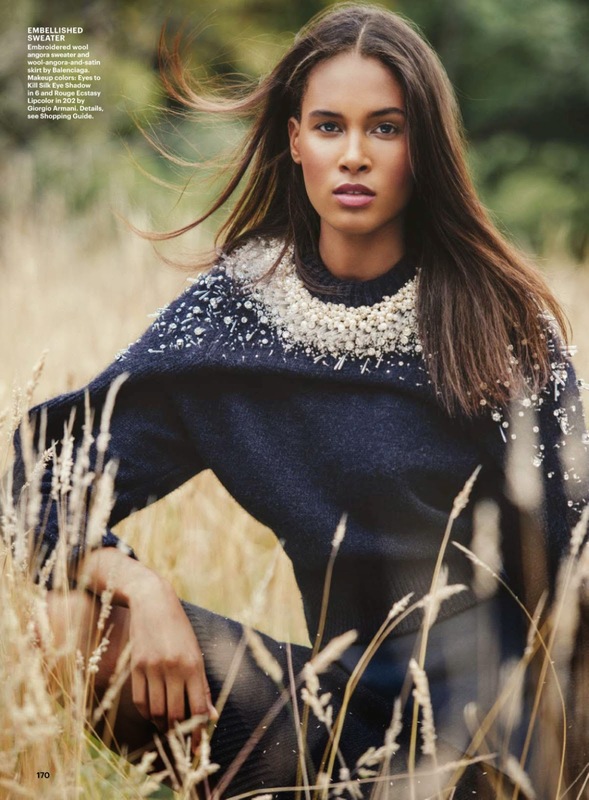 Rising star Cindy Bruna takes a tumble for photographer Sebastian Kim in Allure Magazine's "Fall Girls" editorial. Bruna's impossibly svelte 180 cm silhouette provides the perfect framework to showcase Fall's most fashionable knits selected by stylist Siobhan Bonnouvrier. 2014 has been a bonanza year for the twenty-year old bi-racial Italian/Congolese beauty beginning with a Spring/Summer 2014 Prada campaign lensed by Steven Meisel which placed her on high alert with casting directors, fashion editors, and designers. Led by a steely battalion of dedicated agents at Wilhelmina and Metropolitan Models, Bruna has been one of the most sought after newcomers throughout 2014 with multiple cover appearances for Vogue Italia, French Revue de Modes, Glass, Italian Marie Claire, and Crash in addition to editorial bookings for W, Another Magazine, and American Vogue. Bruna's stunning versatility, dynamic energy, and ebullient personality are evident on set and in each and every one of her editorial appearances. Not one to rest on her laurels, Bruna will cap of the year on a high having just been confirmed for her second consecutive appearance at the Victoria's Secret Fashion Show.